Belgium Naval & Robotics has launched an industrial offer anchored in Belgium to respond to a call for tenders issued by the Belgian and Dutch navies for the supply of 12 mine hunters. Belgium Naval & Robotics offers the Belgian Navy a solution whose prime contractor is in Brussels and involves many local players spread throughout the country. "This partnership with FSR illustrates our strong relationship with the Belgian Defense Technological and Industrial Base and our desire to build a long-term relationship with the Belgian and Dutch Navies," explained Jean-Michel Orozco, Senior Vice-President Mission Systems, Drone & Cyber Security at Naval Group. 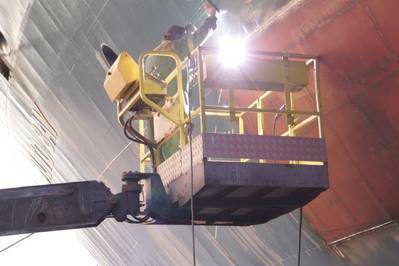 Flanders Ship Repair (FSR) shipyards will be responsible for the manufacture of many mechanical parts and sub-assemblies, as well as the maintenance of mine hunting vessels (MCMs). "When Naval Group and ECA Group presented me with their industrial project to replace mine hunters, I obviously accepted because I found the approach innovative and very pragmatic, but above all ‘Belgium oriented’," said Johnny Hofman, CEO of FSR. 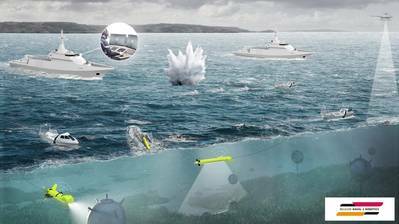 Through the Belgium Naval & Robotics brand, Naval Group and ECA Group are printing the identity of their innovative, sea proven, and resilient robotic mine warfare solution which is fully integrated into a drone carrier naval ship. "Moreover, this brand reflects our solution, whose industrial seeds will be planted in Belgium and which will generate numerous opportunities for Belgian industry in the field of mine warfare," said Guénaël Guillerme, CEO of ECA Group. This involvement of the Defense Industrial and Technological Base (DITB), spread throughout Belgium, in the Belgium Naval & Robotics project will make it possible to consolidate national technical and operational excellence in the field of robotized mine warfare.